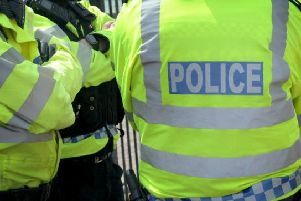 Goods worth hundreds of pounds have been stolen from a car that was parked in the Heathcote area at the weekend. Police have said that the incident happened at sometime between Saturday January 12 at 6pm and 11am on Sunday January 13 where items of clothing including a Ted Baker dress, an M&S yellow children's coat, grey hat and black seal skin gloves with total value of £300, were taken from the boot of a car. Hundreds of pounds of good were stolen from a car in Heathcote over the weekend. The car was parked on the driveway of a house on Nightingale Avenue. Some loose change was also taken. Police are also reminding residents to remember to lock their vehicles and to remove all items of value. Anyone with any information about the incident should contact Warwickshire Police on 101 and quote incident number 140 of January 13.